In this post I will write a bit about one of my adventures roaming Cuba and meeting locals and about why I enjoy Cuba and about how it has changed my views of the world. 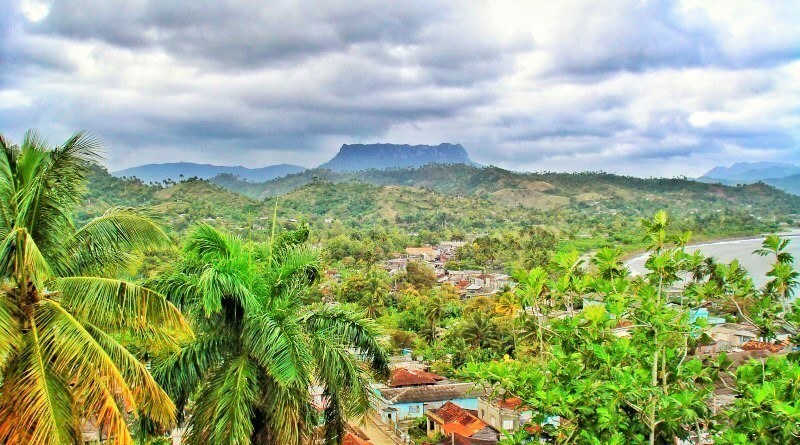 Baracoa, Cuba. It’s on the eastern tip of the island. It is said that it is one of the first places Christopher Columbus landed when he arrived in North America. 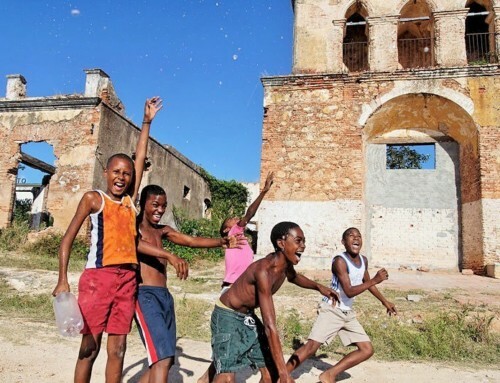 To this day it remains a remote location – Distant from the everyday Cuban life with only 2 roads connecting the town with the rest of Cuba (1 of which was wiped out completely in a hurricane which heavily destroyed the area in 2016 – see end of article). It’s a place rich in history and natural beauty. I had no plans or casa particular reservations. Not even a map. The second I got off the bus, locals crowded around me and I was offered a casa for 15 CUC ($15 USD) per night. “Sure,” I said, and followed the old man to his home. It was the most beautiful place I had ever stayed in, in Cuba. It wasn’t a modern apartment with sleek tiles and chic bathroom fixtures. It wasn’t a dump either. It was a place that really felt like home. And there was a beautiful terrace on the roof where I could feel the cool ocean breeze. I asked the landlord if he knew where I could rent a bike. 30 minutes later, a bike showed up at my door. 5 CUC rental per day. It was a 1960s cruiser, covered in rust with wobbly wheels and gentle brakes, but it would serve me well. I told the owner I wanted to climb the famous mountain (El Yunque). He thought I was crazy, but he explained the route a bit and told me to follow some signs. The next morning, I took my bike and made my way to the mountain. I could see it just a few kilometers from the town. It didn’t look very big at all. 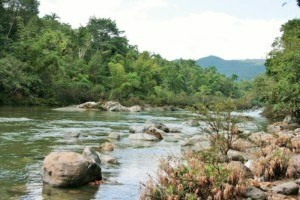 My goal was to bike up the gentle sloping path that follows the river Duaba. Long story short, I never got to the top of the mountain. For those that don’t know, Baracoa is like a jungle. A Cuban jungle with some of the highest rainfall levels in the world. Every day it rains in Baracoa. Usually more than once. And some times it can get down right torrential. And on this day, with me halfway up the mountain, it had been raining steadily since I had left my casa, and it was only getting worse. A small tour bus passed me on the way up and I half considered asking for a ride, but I did not want to leave my bike. At about 4pm, I decided to head back down, not wanting to risk staying out on the mountain in the dark. Despite not reaching the top, that day was one of the most memorable in my life. About halfway up, I met an old woman who had been living in the same clapboard shack, on the side of the cliff for 84 years. In all that time, she had only been to the main town a handful of times. She made me lunch and suggested that instead of trekking to the top of the hill, I would have more fun going to the waterfall. And she was right. About 500 meters from her house, there was the most beautiful waterfall I have ever seen, flowing into a massive river, filled with boulders the size of large houses. It was a prehistoric scene that I could scarcely believe. There was not another human being in sight. When I got back to my apartment I explained everything to my landlord. I told him all about my adventures that day on the mountain. He had no idea what I was talking about, nor did he really care. He said that when he was young he once tried to go to the base of the mountain for a party but never even made it. In all his years, living just a few kilometers from this wonderful place, he had never even bothered to visit. It made me realize that in life, we each have to choose and make our own adventure. Havana can be dirty and unpleasant sometimes, but it is the capital city and the largest, so the people who live there often do so out of necessity. But in other cities and smaller towns, people settle there because it is beautiful, or they have deep historical roots in the area. It’s a pure culture. And money is much less of a driving force. Maybe I should have mentioned that in the guide. 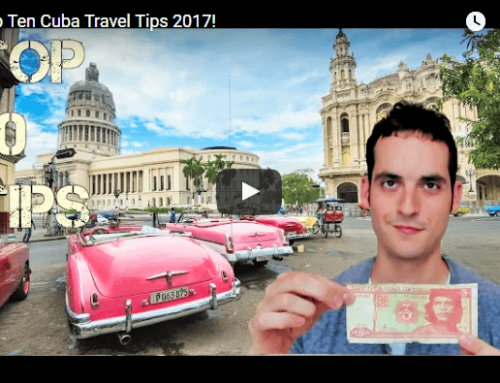 You should not go to Cuba just to have a cheap vacation. It’s not about going to explore a small town in order to get more bang for your bucks. It’s about walking in a town where you know everybody has very little money or no money at all, but life continues without interruption, the kids are healthy; playing, going to school, talking about mundane events. Their shoes are worn, but they don’t even think of it. It’s a human experience. And you are much more likely to get these experiences in poorer areas of Cuba, despite all of Cuba being a relatively poor country (money-wise at least). For me, it’s a calming environment. In a fruit market, if you are buying something from a local, you are much less likely to be ripped off. 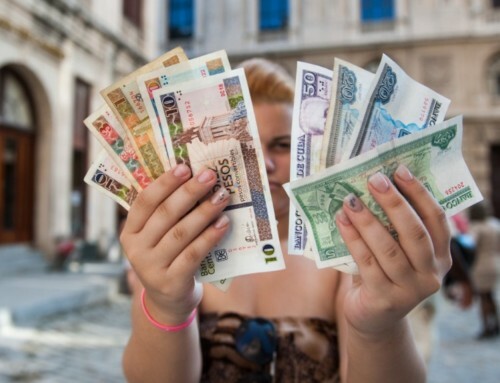 In Havana there is always a hustle for cash. There is much less of that in the rest of the country. 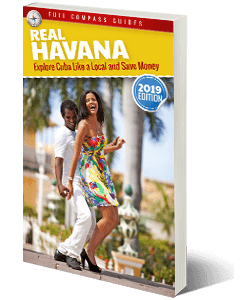 A Guidebook about Exploring Small Cuban Towns? Note: As mentioned above, Baracoa was heavily damaged by a hurricane in 2016. The main bridge to the city collapsed. Almost all the buildings in the city were flooded and many destroyed. As of today, March 21, 2017, the town is functional and can accept tourists. 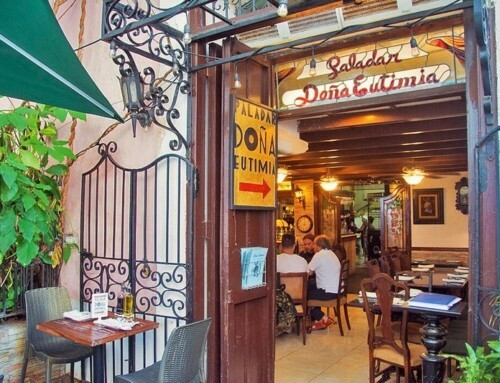 There are many casas which have returned to operation and many businesses have re-opened. Despite that, there is still a huge construction effort underway to repair some heavily damaged buildings and the town and outskirts of town still have a lot of debris everywhere. 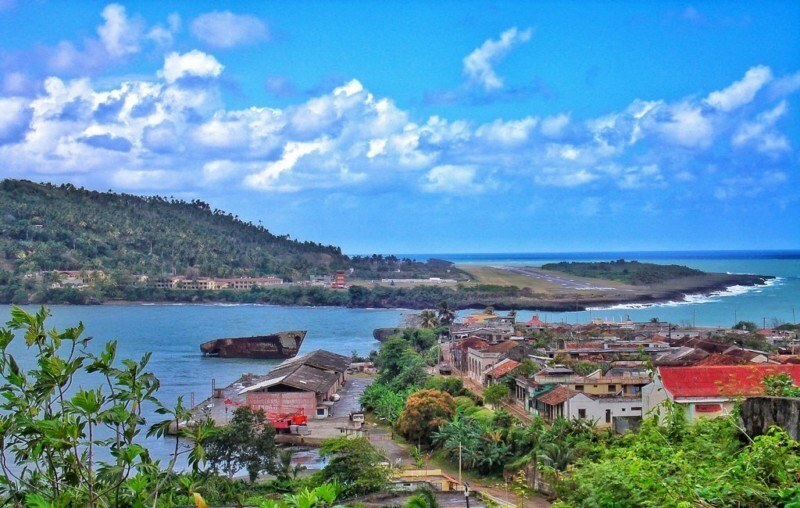 Check the comments below for recent user experiences in Baracoa, Cuba. Thank you for the article. I just spent several weeks in Baracoa (Dec, Jan and half of February) and the town has bounced back from the hurricane and is perfectly ready for tourists: all hotels and casas are welcoming visitors. There is electricity and running water. Some of the cultural venues downtown have not only been repaired but actually renovated, expanded and newly equipped. The bridge over the Toa River did collapse indeed as a result of hurricane Matthew, but it has been replaced with a provisory one so folks have been arriving by car in Baracoa both from Holguín/Moa (crossing the Toa River) and Santiago/Guantánamo City (through La Farola road). 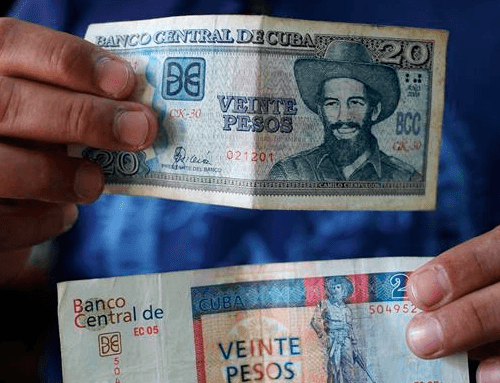 So it’s all good and your readers need not skip a visit to Baracoa any time now. By the way, tourism is not a burden to Baracoans at this moment, but a key source of revenue to help them keep recovering after the hurricane. Hi, I had an opportunity to visit the town last month (Feb 2017). The town is functioning and businesses and many casas are operational, but there still seems like there is a lot of work to be done. The town is at 60% to 70%. The outskirts of town and the natural areas are worse. There is a huge rebuilding effort with trucks and construction material everywhere. My recommendation is to visit Baraoca if you are in the area, as it is still a beautiful place with wonderful people. 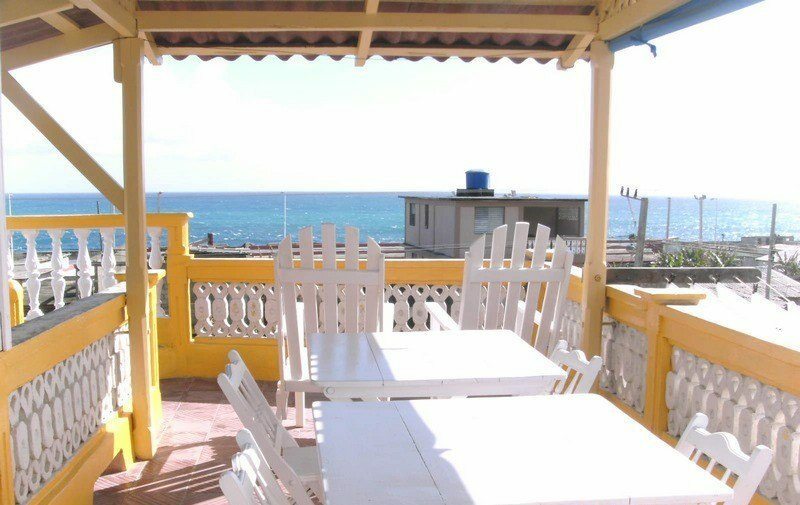 But if you are in Havana, it might not yet be worth it to make the trip across the island. I would wait until the summer 2017, when the town and the areas outside the town will be in better condition. I was in Baracoa at the end of February and beginning of March 2017. Ideal conditions for a visit! The Venezuelan government assisted with new bridges. I didn’t find very much construction work. Looks like Baracoa is completely back to normal. You’ll notice fallen-over trees, but little else to show for such a powerful hurricane in October 2016. One of the guides I used in Baracoa told me the damage to the landscape and trees would have been much greater if Baracoa hadn’t received two months of heavy, daily rainfall after the hurricane, to wash away the salt the hurricane left in its wake. Thank you for you input. I love Baracoa and I will go back in a few months to see how things are progressing. I am glad you had a great time there. Hi. Is Baracoa nature recovered? I read there was a major effort done to recover the cacao and other plants. Hi, Baracoa has for the most part recover now and is a good place to visit. It is far from Havana and not easy to get to, but it is an amazing place with great people and beautiful scenery. Reading your blog makes me want to hop on a plane and get right back down to Cuba.. man what my audience would do on YouTube for a scene like you just painted.. Not even sure with the new restrictions how easy it is for Americans to come down now. It’s a beautiful place. I love it there. The scenery is really untouched. It has developed a bit more over the last years, but it’s so far away from Havana than I doubt it will ever become a tourist town like so many other places in Cuba. All the best in your awesome travels man.